DIAGNOSTIC FEATURES: Very small, tufted thallus, tips of branches widened, recurved, usually mealy sordiate; P-, evernic acid present; compare with R. roesleri with hollow and perforate thallus, R. intermedia, found on bare rock, tips attenuate, marginal and apical soredia, P-, and R. petrina, P+. 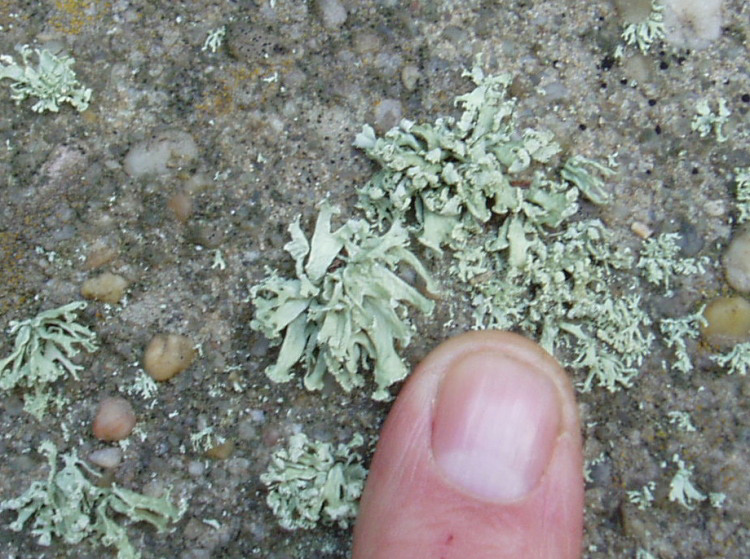 ECOLOGY: This lichen has a very spotty distribution in the US where it grows on bark and rocks; rare in Ohio with recent records from six counties, all on semi-shaded sandstone cliffs and boulders. Sometimes found with R. intermedia and R. petrina.